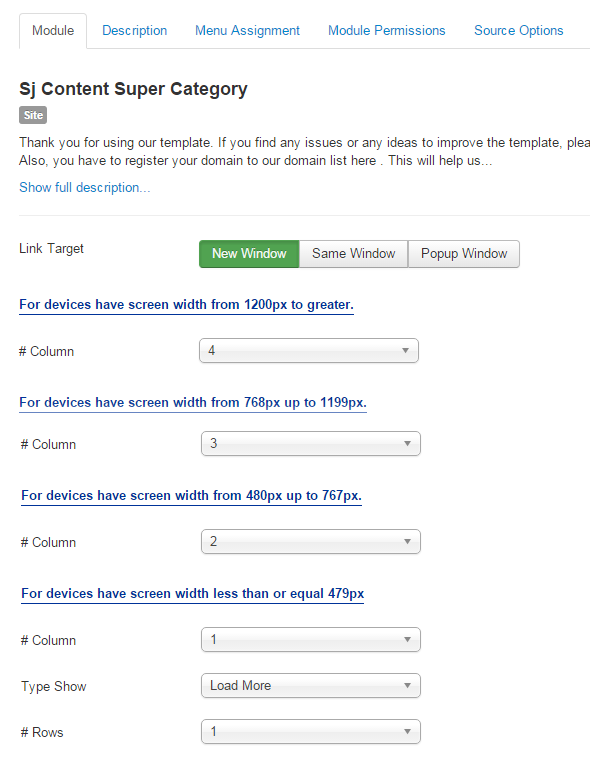 This guide will help you install SJ Super Category for Content step by step. 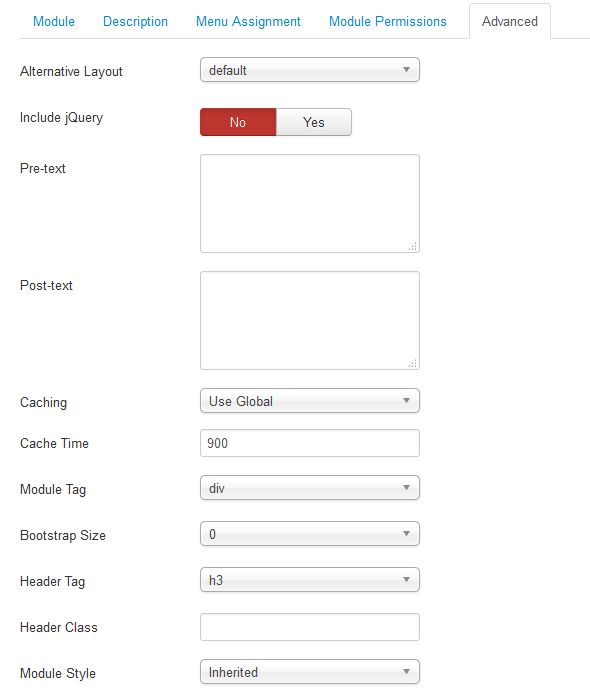 Category – Allow you to select Category. 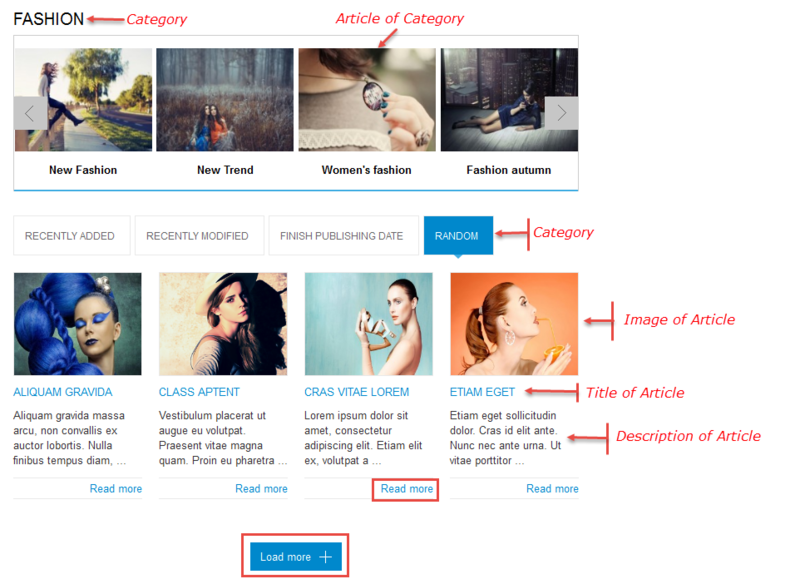 Field Preload – You can choose the article which you want to show by the first. Ordering Direction – Select the direction you would like Articles to be ordered by. 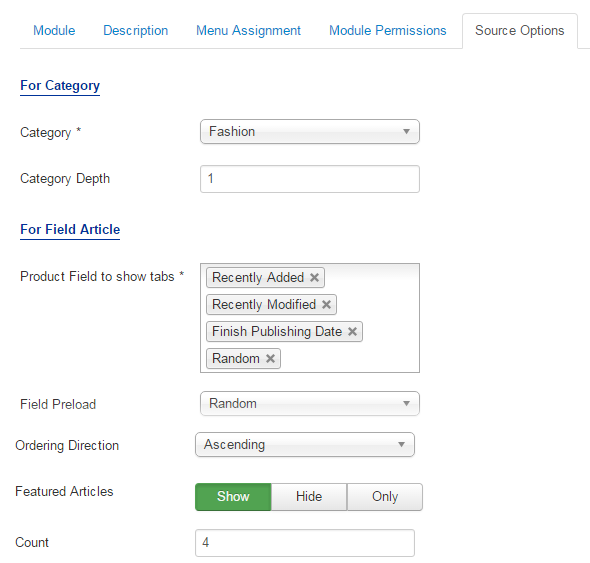 Featured Articles – Allow to select to show, hide or only display Featured articles. Count – Maximum number of articles to display. Enter “0” for unlimited. Column For devices have screen width less than or equal 479px. Sub Category Order By – Allow to choose 1 of 3: Name/Odering/Random. Sub Category Direction – Allow to choose Category Direction: Ascending/Descending. Tabs Title Maxlength: The maxlength of Tabs Title. Set “0″to show full title. 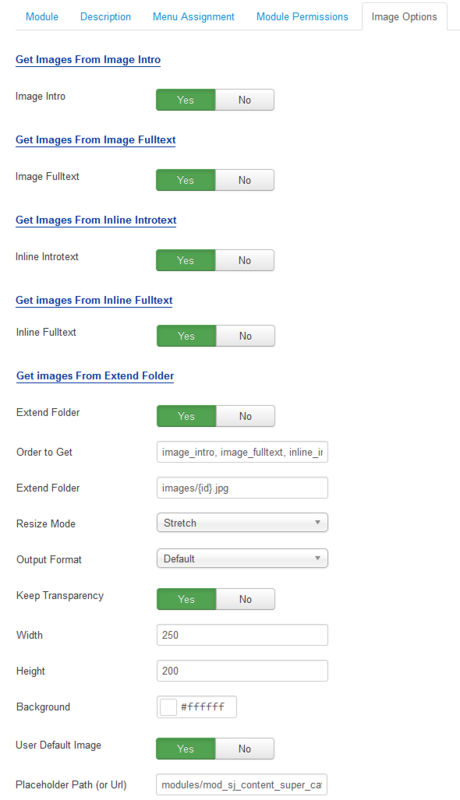 Title Display – Allow to show/hide title of items. Decription Maxlength – The maxlength of items’s decription. Set “0″ to show full title. Readmore Link – Allow to show/hide a link of article. 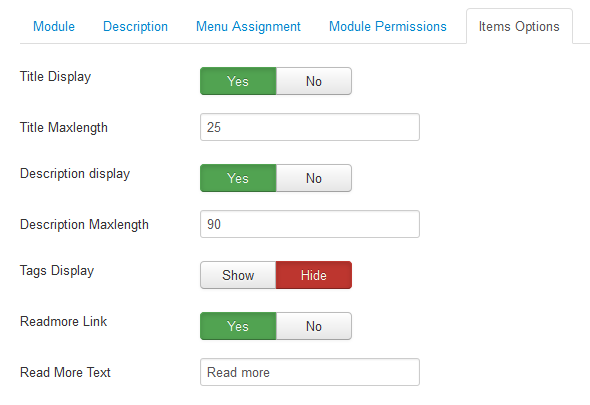 Center – Allow to show/hide article center for slider.